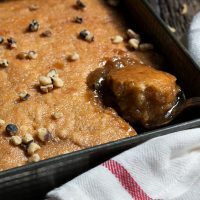 A French-Canadian classic, this Maple Walnut Pudding Chômeur is essentially a self-saucing cake, with a maple syrup flavoured sauce. The wacky Spring weather this year hasn’t done wonderful things for local maple syrup production. Maple sap runs when the weather is cold at night and warm in the day. We’ve been having trouble with that “warm in the day” part :) That said, there is still lots of fresh, Spring maple syrup around. I have just re-stocked my supply with a gallon of fresh Ontario maple syrup, so I was inspired to bake up this traditional Canadian maple treat. Pudding Chômeur (or Pouding Chômeur) translates to “Poor Man’s Pudding”. It’s humble food. It’s rustic and comforting. And yes, it’s quite sweet, but it’s a lovely treat and a great way to enjoy and celebrate Spring maple syrup. I like this recipe as it doesn’t call for a ton of maple syrup. I know it can be expensive in some places (so much for the poor man thing :). Boiling the maple syrup down, together with some brown sugar creates great maple flavour without the need to use a lot of maple syrup. You’ll want to enjoy this one warm from the oven. A drizzle of cream or a bit of ice cream is a great addition to the bowl. As noted above, this is a sweet dessert, so when it comes to serving size, a little goes a long way! This 9×9 pan will probably yield 12 servings. So if you don’t want 12 servings, you can go ahead and half the recipe and cook it up in a smaller or individual baking dishes. 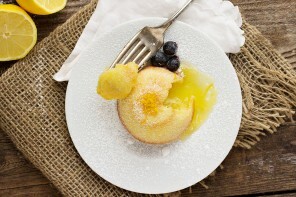 You can make these Pudding Chômeur in individual servings in ramekins as well, for a great dessert. Simply spread the batter and sauce between 6-8 ramekins. Baking time will a little less. As noted, to balance the sweet pudding, drizzle a little cream over-top. Ice cream or even better, Creme fraiche would also be great. 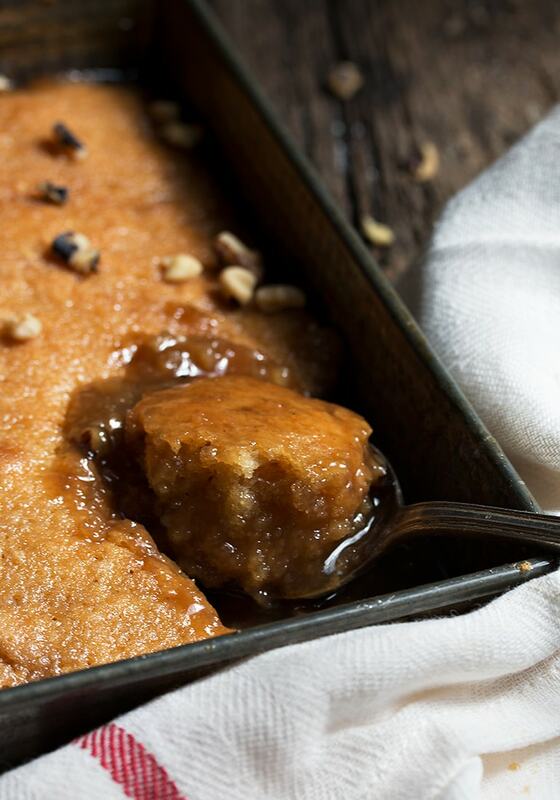 A French-Canadian classic, this is a self-saucing cake, with walnuts and a maple syrup flavoured sauce. Preheat oven to 350F. 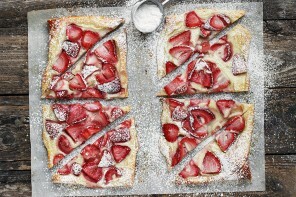 Grease a 9-inch square baking pan and set onto a baking sheet. Sprinkle chopped walnuts evenly over the bottom of the pan. Set aside. 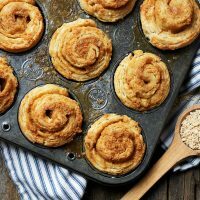 In a large bowl with an electric mixer of in the bowl of a stand mixer fitted with a paddle attachment, beat butter with brown sugar until light and fluffy. Add egg and vanilla and mix until combined. Add flour mixture to batter in 3 additions, alternating with the milk. Mix just until combined. Spoon into prepared pan and spread into an even layer. Make sauce by combining sauce ingredients in a medium saucepan. Heat over high heat until mixture comes to a boil, then reduce heat to medium and boil for 2 minutes. Carefully and slowly pour sauce mixture over batter in pan. Do not stir. Bake with pan on baking sheet in preheated oven for 30-40 minutes, or until cake is set (pulling away from sides of pan) and golden. Serve warm with a drizzle of cream or a scoop of ice cream. 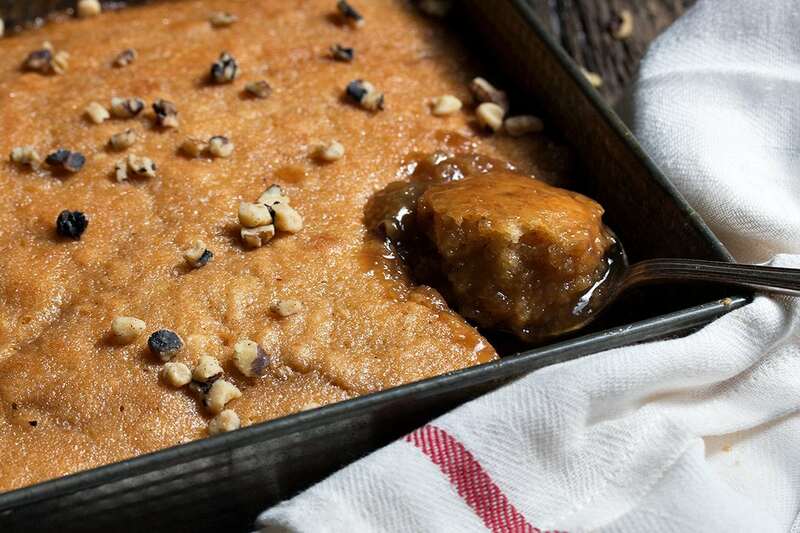 A delicious sweet treat, make with maple sugar. Another sweet treat, using the classic maple walnut flavour combination. Do you store leftovers in the fridge? For how long will it keep? Hi Samantha and yes, I would. It will keep a while, but the cake will continue to absorb the liquid, so will change in that way as it sits. Could it potentially be baked in little ramekins, rather than on a whole sheet? Hi Sydney, You could. 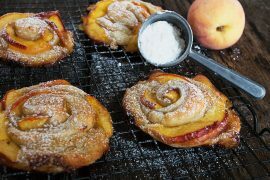 Be sure to place on a baking sheet as they will bubble up and over. Had this dessert for the first time when we were in Quebec City a few years ago and just had to try your receipe. The only substitution was pecans for walnuts. Followed instructions fully & ended up with a delicious pudding. The first serving was “au naturel” and subsequent ones were topped with light cream. This looks so incredible Jennifer, love the maple and pecans! I’ve never had anything remotely like this luscious dessert, Jennifer, and that saucy texture is so tempting. Wow I can almost taste this lovely cake! 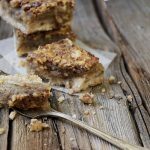 I was just thinking about maple cake the other day – and just like that, you came to the rescue with an amazing and simple treat! This must taste out of this world delicious. Love it! I have never heard of this, but WOW it looks amazing Jennifer! That sauce! I have said this before and I’ll say it again….No Words!! Sign me up! 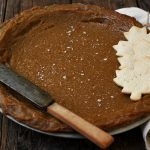 I adore maple syrup and just reading about a warm pie smothered in is making me crave a slice, not to mention seeing your pictures! Hope the ‘warm part’ comes soon so you guys up there can harvest! Thanks Milena :) And as for the warm part … at mid-day today … it’s snowing. I give up! Whoa! This looks awesome, Jennifer. Never had this before, but clearly need to try it! Looks so decadent. Love the ice-cream suggestion too ;) Have a wonderful weekend! The weather certainly has been wacky this season! This self saucing cake looks BEYOND delicious, Jennifer!!! As soon as I saw the first photo I started drooling! 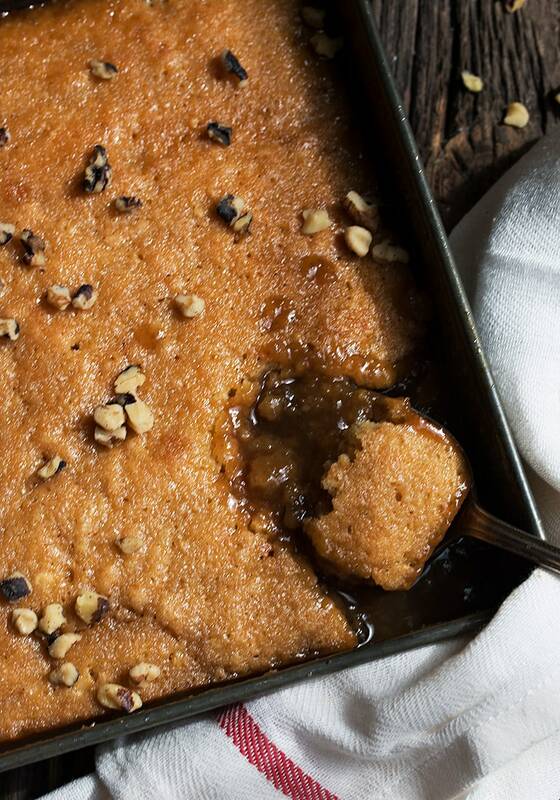 I love maple syrup anything, so this pudding needs to happen in my kitchen ASAP!!! Cheers!